The Grapestake Cottage is located in the heart of the California Central Coast winemaking region. With spectacular views of an award winning Syrah vineyard, this luxurious retreat offers all the comforts of home with the privacy and serenity of a blissful getaway. Close to premier wineries and only a short drive to downtown Paso Robles, California, the Grapestake Cottage offers a charming venue for any special occasion or to simply relax! The Cottage includes a King Size bed, fireplace, air conditioning, private patio,vineyard view, fully equipped gourmet kitchen, complimentary snacks, beverages and bottled water. Living area and bedroom include flat screen televisions with Netflix and Amazon Prime. Free WiFi is always available. Surrounded by grapevines and an abundance of amenities...you will vacation in a charming "home away from home"! 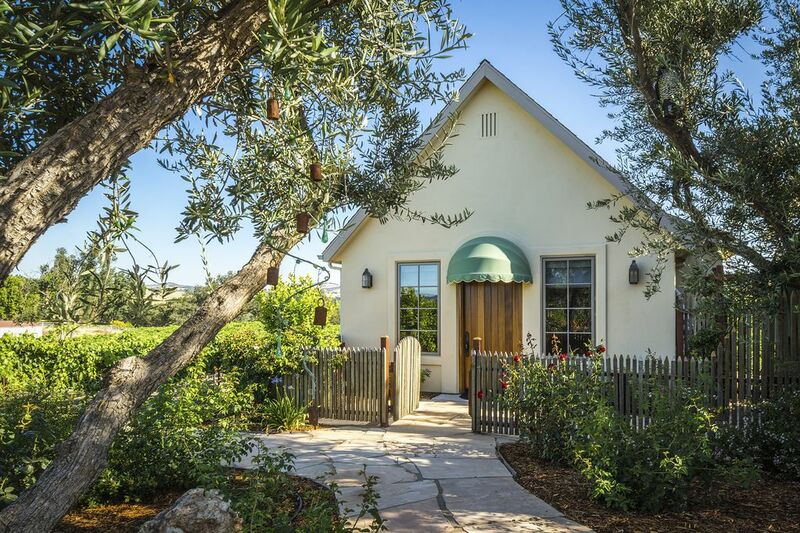 Situated apart from the main residence this cottage offers breathtaking views of an award winning syrah vineyard located in the heart of the Paso Robles, California winemaking region. You are minutes from a delightful downtown and yet out in the country. Located close to over 200 wineries and amazing restaurants you will find everything you need to have a wine & vines experience. The cottage itself boasts high end appliances featuring a Bertazzoni range & oven. The farm sink is surrounded by leathered granite. Custom cabinets provide a home for all the kitchen utensils, glassware, cutlery and dishes, pots & pans. The refrigerator/freezer has an automatic ice maker. Also included is a drawer dishwasher and microwave oven. The Keurig coffee maker includes a large selection of coffees and teas, and, there are exotic loose teas as well as snacks, beverages & bottled water. In the living room you will find a reclining sofa plus 2 additonal recliners, a fireplace and a 50” tv with Netflix and Amazon Prime. An antique hand carved piano has been repurposed as a “piano bar” and promises to intrigue you. The bedroom has a comfy King size bed surrounded by an old fashioned brass headboard and footboard. Each room is individually controlled with both heating and air conditioning as well as overhead fans. Also enjoy your private patio with gas grill and gorgeous vineyard views. Your patio has a handmade fence that is the namesake for the cottage. The stakes for the fence were taken from a 40 year old vineyard that was being replanted. Today most vineyards are planted with metal stakes...we were fortunate to gather these old wooden ones and use them to surround The Grapestake Cottage.